“O’Ceagan’s Legacy” on Kindle Scout NOW! Grania’s first time as captain of her family’s interstellar freighter plunges her ship and crew into dangerous space. My Kindle Scout page for O’CEAGAN’S LEGACY is live now! To read about my new book, read the first three chapters, and VOTE for the book, just click on the book’s title, which is highlighted above. The Scout program allows readers to preview an unpublished novel and vote whether they would like to read the rest of the book or not. If enough people vote for it, then Scout will review the book and consider an Amazon publishing agreement. I I am successful, this means that the author will be published through Amazon. The readers will get a free Kindle copy of the book if they voted for it. So it’s a win-win; I get the book published with Amazon promotion behind it and you get a free copy of the book. 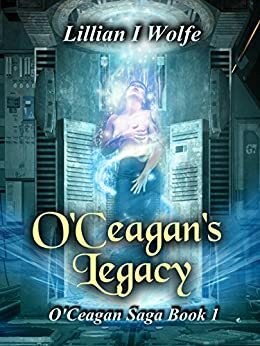 “O’Ceagan’s Legacy” is the first book in the “O’Ceagan Saga”, which is a planned series about a family of Irish-heritage spacers from Erinnua or New Ireland who have a family-owned and crewed cargo ship called Mo Croidhe (My Heart, in Gaelic). It’s a story I’ve thought about writing for several years and it all came together in the past year and a half. A bain sidhe’s calling is to warn family members about impending death. For Sheilan, it’s complicated when her last charge in Ireland dies and the rest of the family are now across the galaxy. If she is to have any purpose for existence, she must cross the stars to them. The routine run from Erinnua to Earth is Grania O’Ceagan’s first time acting as captain of the family’s space freighter. Delays at the station allow her to shepherd her youngest brother to the family seat in Wicklow and to acquire an unusual passenger at London Spaceport. Meanwhile, her middle brother Rory books a merchant with cargo who’s willing to pay handsomely for the ride. Once underway, Grania’s easy trip home transforms into a nightmare as unexpected perils threaten the integrity of the ship and thrust them into deadly circumstances that test the mettle of Grania and her crew. Can they save the ship and their lives? Please check out my Scout page for “O’Ceagan’s Legacy” and vote for my book. I would be ever so grateful for your support. You have from now until midnight Eastern time on March 12th to read and vote, but do it early, please. Thank you!